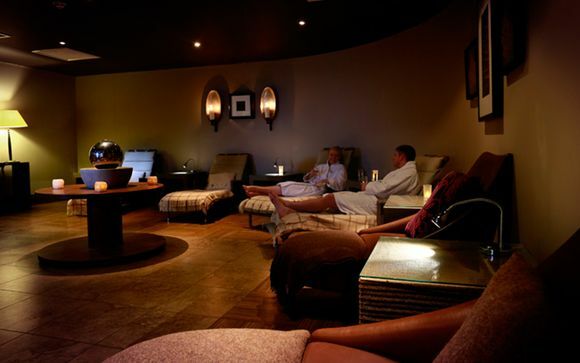 A charming getaway at a stylish country hotel in Cheshire, with an award-winning steakhouse and a luxurious Spa. Golf lovers can practice their swing and choose from three immaculate golf courses. Members will enjoy a 30 minute treatment per person per stay at the Spa, so that they can fully relax and escape the hustle bustle of everyday life. 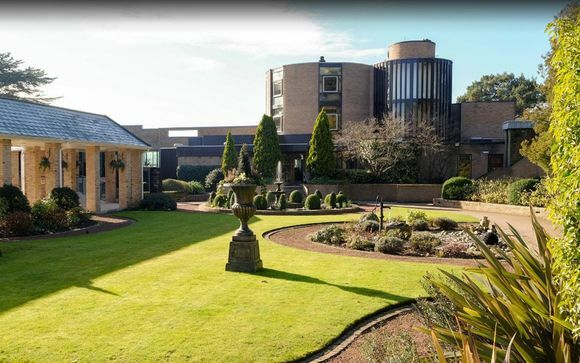 Escape to the verdant county of Cheshire at this restful hotel; an abundance of rolling hills, lush golf courses of endless green, and the calm of the countryside. Located in Tarporley, an area considered as an especially picturesque village for both visitors and residents, there is much to do around the Macdonald Portal Hotel. 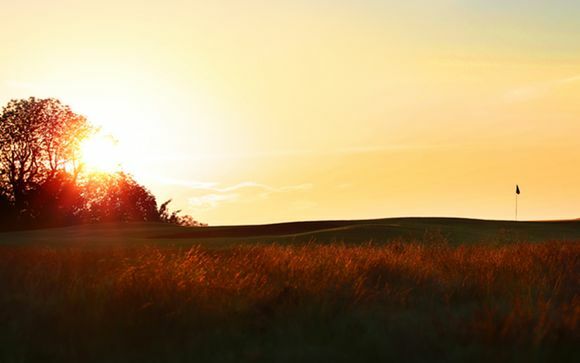 Not only are there vast and immaculate golf courses, the village is home to Beeston Castle and Woodland Park, a beacon of Medieval English heritage with its rocky crag and remarkable views all the way from the Pennines to the Welsh mountains. After a long romantic walk, why not indulge in some retail therapy? Tarporley is known as a shopper’s haven, with designer outlets to tempt you into an impulse purchase. Explore gastropubs galore and indulge in delicious food and great wine, for a relaxing countryside getaway that simply ticks every box. The ideal spot to escape the hustle bustle of city life, Macdonald portal Hotel boasts a modern atmosphere, an award-winning restaurant and a luxurious spa. 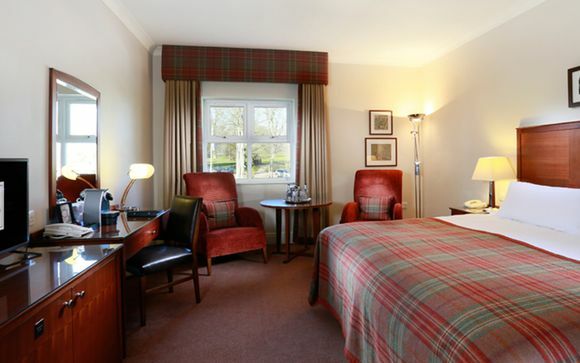 With a breezy ambiance and classic British charm, the hotel prides itself on excellent service and sumptuous guestrooms. A haven for golf lovers, there are three spectacular golf courses upon which to practise your swing; those looking for dose of relaxation and pampering will feel right at home at the spa, where the 18-metre swimming pool and expert therapists ensure a soothing experience. 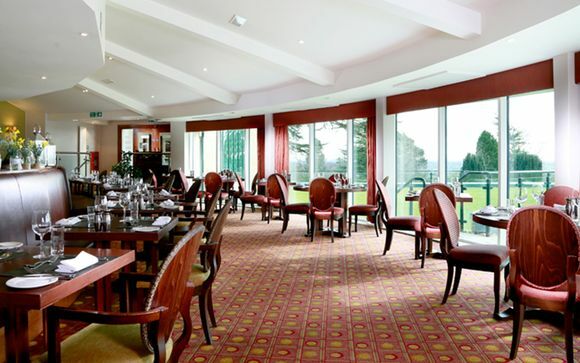 After delighting in a meal at the Scottish Steakhouse, relax and kick back at the Lounge Bar with a drink whilst admiring the countryside views. Your Classic bedroom at Macdonald Portal Hotel, Golf & Spa is spacious, elegant and extremely comfortable - a sound night's sleep awaits! Relax with a movie on the flat screen TV or catch-up with the office from the comfort of your workspace, sink into a deep bath or climb under the thick duvet of your lovely bed. There’s nothing like a juicy steak – cooked perfectly just the way you like it. The talented chefs at this award-winning restaurant serve up 21-day aged Scottish steak using time-honoured techniques. Not a steak fan? The burgers, pork and fish dishes are not only fresh but delectably delicious. Take long cooling dips in the stunning 18-metre pool as you marvel at the countryside view beyond large glass windows. For those looking to maintain a fitness regime, there is a state-of-the-art fitness centre for gym bunnies. Reward yourself and choose from the infra-red sauna, rock sauna, aroma steam room, ice room and experience showers for a relaxinf experience. Highly recommended, however, are the treatments – where expert therapists transport you to a place of zan and use the most exclusive luxury skincare products.